OR Saffron Amis takes on a 24-hour radio challenge to raise money for the Alzheimer's Society. On 9 April, OR Saffron Amis (House 2, 2007-14) and her friend Alice will be spending 24 hours live on the radio - that’s 12pm to 12pm of continuous talking, playing music and, most importantly, no napping. You may be asking why on earth they would put themselves through this… the simple answer is, it’s all for a good cause. All money raised by those sponsoring the pair will go to the Alzheimer's Society, a charity dedicated to the care of people with dementia and research into the cause, cure and prevention of Alzheimer’s. The Alzheimer’s Society was a natural choice for Saffron and Alice, for they have close connections with the charity and have experienced the important work it does for people with dementia and their carers first-hand. Alice’s Dad works for them full time, and Alice was bought up attending Memory Cafe’s and Singing for the Brain workshops, both of which were created to find a time and place where those with dementia can socialise with each other and volunteers, whilst giving them something to do. Saffron and Alice have hours of great music and chats planned, with everything from throwback tunes, travel discussions, dating tips and even an hour dedicated to Les Miserables on the agenda. The pair are passionate about radio and have a usual show on a Monday for an hour, which will be nothing compared to this challenge! Both of them agree that getting involved with Insanity Radio is one of the best things they’ve done over the last three years. Insanity Radio is a community radio station based at Royal Holloway and is completely run by students like Saffron and Alice. No money is made from presenting the radio shows or contributing to managing the station, but it is an incredibly fun initiative to contribute to. 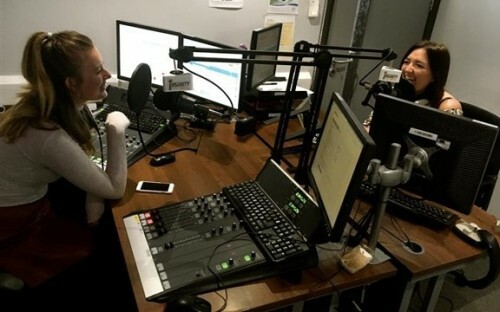 Insanity radio is one of the few community or student stations that are on FM, which can be listened to on 103.2FM in the Egham/Staines area or online. Saffron and Alice’s 24-hour show will be live on YouTube, so you can watch them attempt to keep each other awake while not talking too much nonsense! You can also follow their progress on Twitter with the hashtag #StayUpWithSalice. 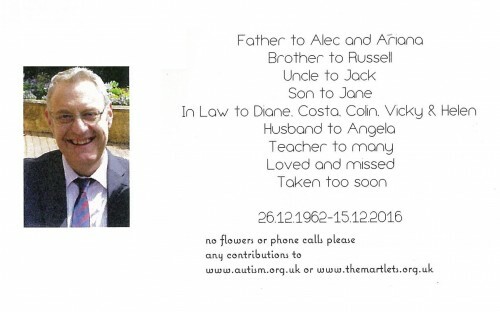 If you would like to donate to Saffron and Alice’s campaign, please visit their JustGiving page. Every little thing can help! Award winning Actress, Jessica is one of Roedean's most notable alumnae. Very sad news about Ken Thomson (Staff), a much-loved and long-serving teacher and colleague. 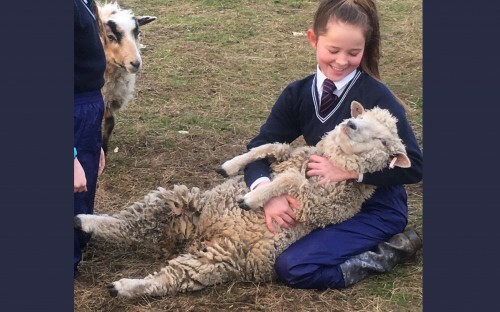 Keep up with everything going on at Roedean. Page generated in 0.2938 seconds.